Michael Scott Details From "The Office"
"I want the house, Jan! I want the picket fence. I want the ketchup fights and the tickling." 1. Michael believes there's only one time zone in the United States. 2. Michael has a certificate of authenticity for a "Quality Seyko Timepiece" hanging in his office. The actual brand is spelled "Seiko," meaning Michael purchased a counterfeit watch but believes it's real. 3. In Season 3, Episode 5, Kelly tells Michael to watch SNL's Lazy Sunday sketch. 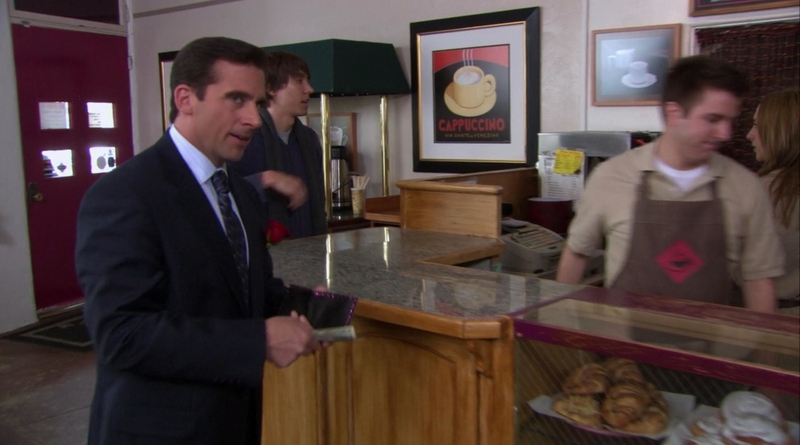 Three episodes later, in Episode 8, Michael and Dwight drop Lazy Scranton. 4. In Season 6, you can spot an Italian flag on Michael's desk. The problem? They're supposed to be celebrating St. Patrick's Day. 5. Michael apparently makes his own salad dressing...and also bottles and labels it. It's called "Great Scott." 6. Michael is incapable of caring for goldfish. 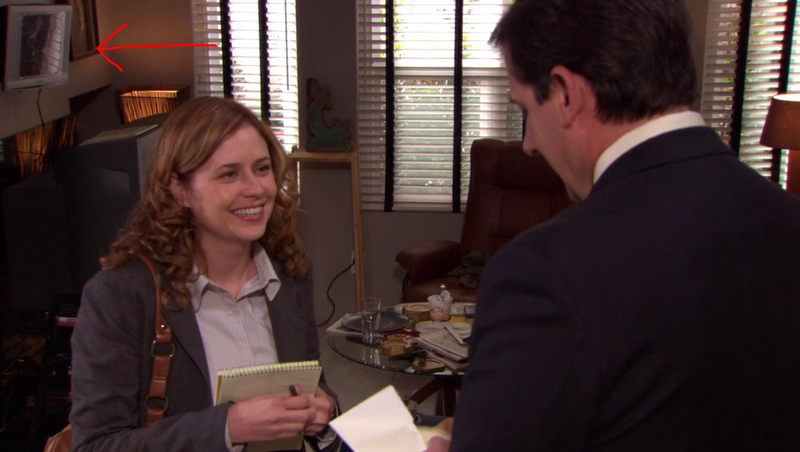 Over the course of the three Michael Scott Paper Co. episodes in Season 5, three different goldfish can be spotted in his fishbowl. 7. 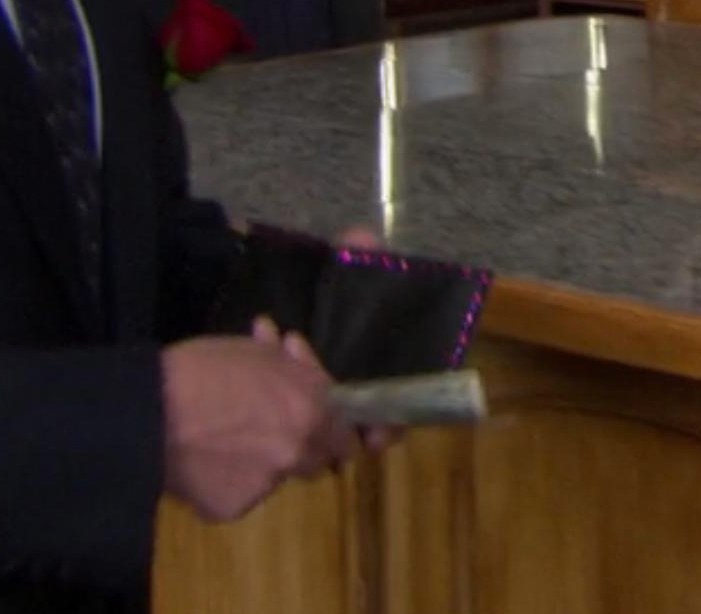 Michael owns a wallet with sparkly pink (purple?) trim. 8. In Season 3, Michael tells Jan how he envisions their future together. The perfect life he describes involves, among other things, "ketchup fights." In Season 7, we see a scene in Threat Level Midnight in which Michael Scarn is having a ketchup fight with his wife. 9. For starters, when Jim and Pam get a tour of the house and they're shown where Michael sleeps, you can see the George Foreman grill that Michael burned his foot on. 10. We also learn that Jan is a pretty big control freak. This is punctuated by the fact that all of Michael's possessions are boxed up in the garage. 11. During Michael and Jan's fight, we learn that he's had three vasectomies — the first made him sterile, the second was a reversal, and the third made him sterile again. In Season 9 we learn that he and Holly had children, which means — yes— Michael had a fourth vasectomy. 12. 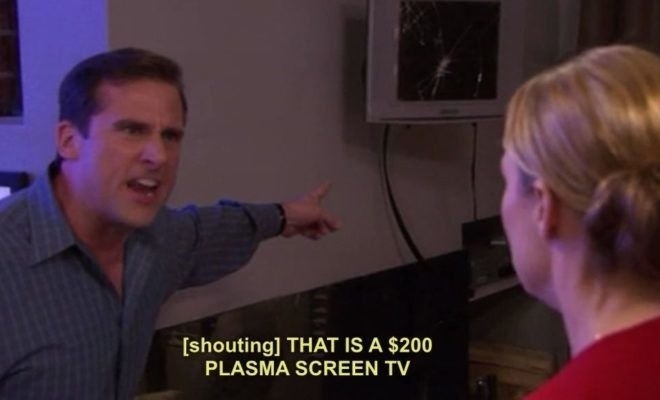 Remember when Jan breaks Michael's plasma screen? Well it's still hanging on his wall in Season 5, despite the fact that he has a new TV directly below it. 13. And guess what? We spot that TV again in the Season 7 episode, "Garage Sale." He's selling it! 14. In Season 5, after Jan has moved out, we see that Michael displays a "His" picture in his kitchen — remnants of Jan's signature style of decor. Jan, of course, took the "Hers" with her when she left. 15. In the Season 4 episode, "Goodbye, Toby," Michael says that he expects to remember that day for the rest of his life because it's Toby's last day. That very same day, he meets Holly for the first time — so he was right about it being a memorable day, but Toby had nothing to do with it. 16. And this is the face Michael made when Holly surprised him with a Yoda impression and he knew she was the one. ...which is later confirmed when we're given a glimpse of the office's recycling bins. 18. Lastly, Michael adds sugar to his diet cola. Is there anything we missed? Share your favorite Michael Scott details in the comments below!